You can get some great bargains if you go second-hand; two things are in its favour – the guitars are generally cheaper than new (unless it’s vintage of course!) and, being made of wood, the guitar, particularly an acoustic, will have mellowed and bedded in, making it sound even better. Against this will be the fact that it may have some signs of wear and tear – some players prefer this though! You may already have played the guitar that you want and as a lot of models have been in production for years you can probably compare new with used. Some models though are no longer available, like the Gibson Midtown Custom, so you will have to find one second hand. You may also find that the store you go to carries second hand stock and has what you want at a reduced price. If, for example, you are after a Fender USA Telecaster you should be able to find a good pre-owned model for between £600 and £850, compared with £1000 plus new. However you have come across the guitar – through the internet, paper or by other means – make sure that you play it. Sound quality and playability are most important so listen carefully to its sound and get a feel for its playability. 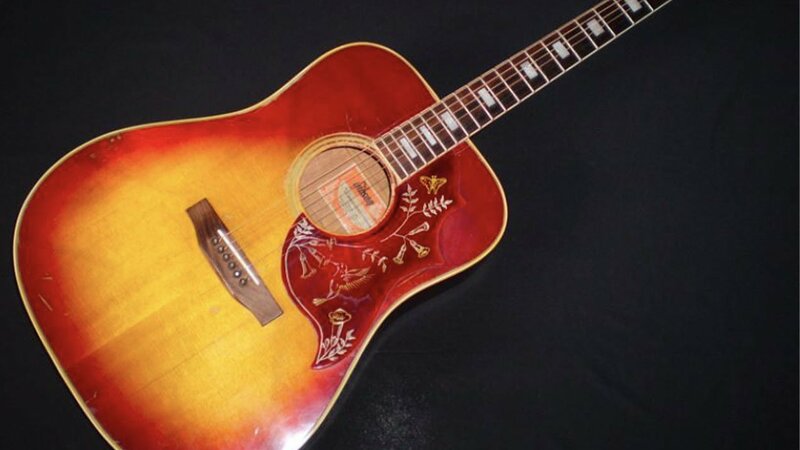 Find out from the seller about the guitar, preferably before you go play it. Get then to tell you about its condition and whether any work has been done on it. A good seller will not have anything to hide and if they have owned the instrument from new they should be able to tell you everything about the instrument. If they are reluctant to do so, walk away. See how the seller treats the guitar whilst you are with them. This is a good indicator as to how they usually treat their guitars. Look at the overall condition of the guitar for scuffs and scratches. Check the mechanical parts and that the neck of the guitar is not out of shape or warped and that there are no cracks, particularly where it joins the body. Check the action of the guitar. Make sure that the action suits your style of play – most electric guitars have a low action but blues players can prefer a slightly higher action. If you spend a lot of time past the 12th fret the action will be critical. Check also the string gauge is correct for the guitar – heavier gauge strings need a higher action to prevent ‘buzzing’. If the strings do buzz the truss rod will need to be adjusted – check this is possible and that the original tools to do so are with the guitar. Check the intonation of the strings. Play notes all along the neck to ensure that it is tuned over the entire fretboard, paying particular attention to the open string notes and their equivalent notes at the 12th fret. On an electric guitar the intonation can be adjusted so make sure the bridge/saddles are in good condition and can be adjusted. Most acoustic guitars have a fixed saddle so need to be adjusted by a specialist. If you are choosing an electric guitar you need to plug it into an amp (preferably yours or one similar) to make sure that it all works. Check that the pickups and control switches work correctly and that a clean sound is produced with no/limited background hum. Rotate the volume and tone pots to ensure they work. Since buying a guitar can be a big investment, take your time; if it takes months to find ‘the one’ so be it. Don’t just buy the first one you try out if you are not sure – walk away. If you know the model and make you are after there will be plenty more out there so keep looking until you find it’.